‘Fill you if condition here. 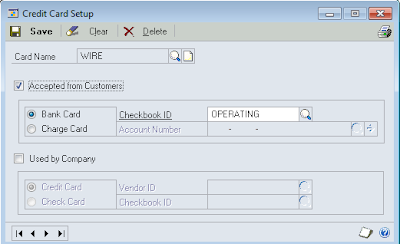 One of my favorite unknown features for Dynamics GP is Control Account Management for Purchasing. This allows companies to process AP centrally and then roll down the AP balance at month end to the appropriate departments. A reversing entry then puts everything back into AP. Last week we looked at Payables Scheduled Payments and this week we’ll take a look at the other side of the coin, Receivables Scheduled Payments. 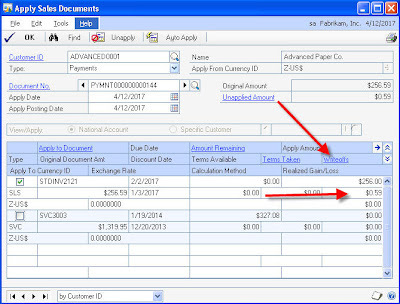 This feature allows companies to setup payment schedules, with or without interest, for existing receivable transactions. The current economic climate is forcing businesses to be a bit more creative. Some of these companies are resorting to No interest, no payments terms that allow customers to walk out the stores with the merchandise and begin payments at a future date. 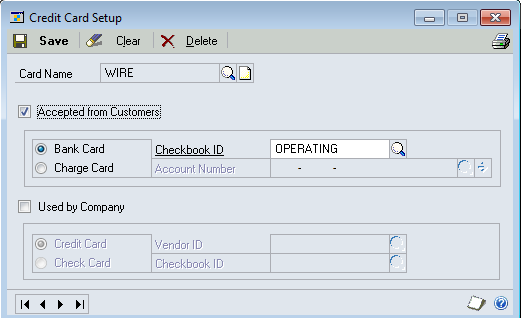 But, how is a company using Microsoft Dynamics GP going to deal with this type of payment term? What if the promotion is only being ran for the month of December only? 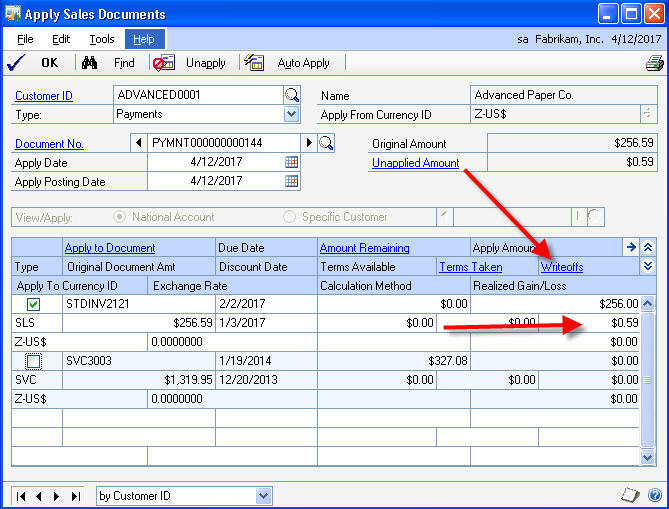 What if all invoice generated in December are all due simultaneously on June 1, 2009 regardless of the date the invoice was generated? 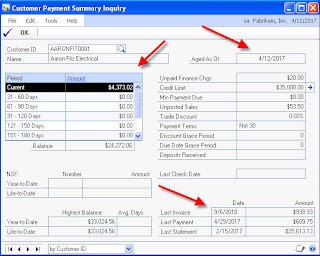 One challenge many companies face is their ability to maintain a current and accurate aging of their accounts receivable. Collectors are judged on their ability maintain low DSO (Days Sales Outstanding) statistics, so keeping amounts out of the 60+Day buckets on the A/R Aging is a common goal. 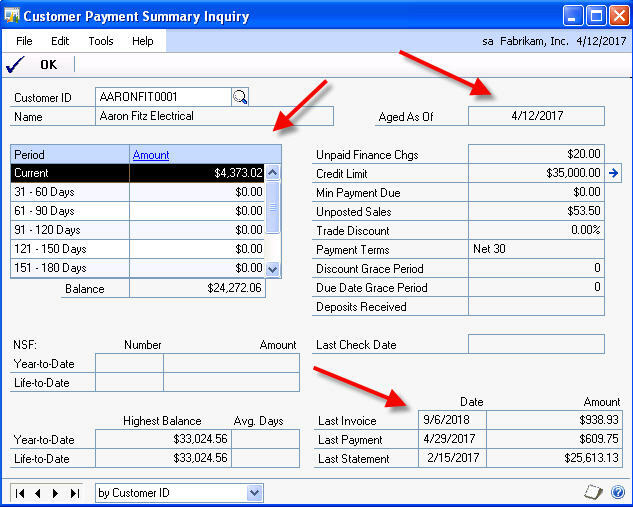 Receivables Management and Collections Management allow users to print A/R Aging reports, send customer letters and track collection progress on past due balances. But what can be done for the common over or underpayment by a customer? Over or under their credit limit???? You have a credit limit with your personal credit card. Even a popular credit card that boasts no preset credit limit will not approve expenses if you spend in excess of your normal spending history. 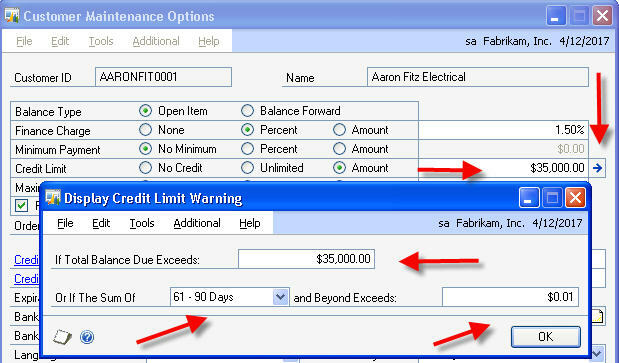 So why not enter credit limits for your customers? So, every once in a while, you stumble across an old quality report referenced in a knowledge base article. Usually I look at it, see it was resolved with a service pack to version 6, or 5.5, and I think "oh, well, that's not the problem". But today taught me that sometimes old quality reports will shed some light on a current situation. Each entry has its own sequence number. So I do some testing. I enter an invoice, post it, void it, and see if I can come up with the same entries in the RM30501. No luck. So I told the client I needed to take a look on their system. We poke around for a bit, chasing one wild hair after another with no luck. Extending customers credit, especially in today’s economy, has always and will continue to extend a companies financial risk. Unfortunately, we cannot do business (well most of us) on a cash and credit card only basis.